A home is more than just a place to eat, sleep and hang your hat...it's where you live. It's your comfort zone, an extension of yourself. Here are 5 tips to personalize your home, so it better reflects who you are. A bunch of lemons in a jar may look pretty, but do you even like lemons? Instead of going with something trendy you have no connection to, display items from your hobbies and lifestyle. Take your time putting it together as you search for an interesting mix of new, vintage and antiques. Check out garage sales, thrift stores and flea markets to find some really unique items. Give your children some fun projects so their character shines throughout your home. Have them paint a family portrait to frame then display. Let them make some decisions about their room, like paint color and wall decor. Get craft blocks that spell out their name so they can paint them, then hang their name on the wall. There is no better way to personalize your home than with photos, and there are lots of creative ways to display them. Hang a couple of old window frames and place photos behind the glass panes. Run some jute string along the wall and hang pictures from clothespins. Glue a bunch of frames together to create a beautiful wall display. Find older pictures of relatives along with current photos and paint an actual family tree on the wall, placing photos on the branches. Little things like changing the knobs on cabinets, or spraying chalkboard paint on a wall so your family can create erasable art every day are just a few DIY ideas for your home. You can also try bigger projects like creating a headboard with shutters, and using old wood pallets to craft an outdoor garden. 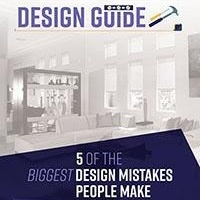 If you "do-it-yourself", it adds a personal connection to your home. Windows are part of a homes’ structure, so they're often overlooked when it comes to decorating. Why spend time making your home look amazing, only to hang boring blinds that usually end up bent and dented? Polar Shades come in a wide variety of styles that not only enhance the look of your windows, they personalize the type of lighting you want, when you want. Add complete autonomy by motorizing your shades and get rid of unsightly cords and control your shades from your smart phone. 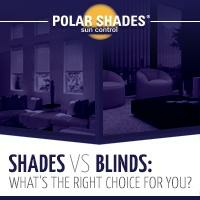 To find out more about personalizing your window treatments with Polar Shades, contact their knowledgeable staff at 702-260-6110 for a free in-home consultation. 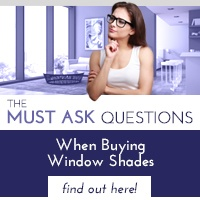 They’re available to help you find the perfect shades to fit your taste and budget. 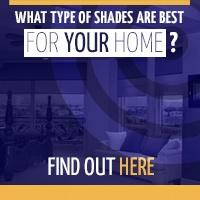 Get started with a free downloadable guide "Shades vs. Blinds" and discover how window shades will personalize your home.